Even though Republicans are known for being more “business friendly”, the CEO of MGM Mirage in Las Vegas was hoping and praying that Democratic Senator Harry Reid would retain his position as Senate Majority Leader by defeating Republican challenger Sharron Angle. You see, MGM CEO Jim Murren headed up CityCenter, the largest privately funded construction project in U.S. history. That’s when Jim Murren placed a called Senate Majority Harry Reid – Democratic Senator from Nevada. Senator Reid placed a call to the bank executives, and within hours Mr. Murren had the funds he needed to continue building his CityCenter project. 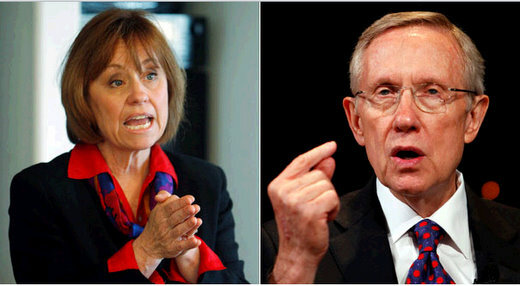 I say because last night Senator Harry Reid defeated challenger Sharron Angle. And I can assure you that at least one republican supporter was celebrating that victory – MGM Mirage CEO Jim Murren!